Received an email from LinkedIn saying my LinkedIn profile has been in the top 10% of most viewed profiles in 2012. I was surprised but happy 🙂 Though not a great thing but it is always a good feeling when someone views your e-social profile. 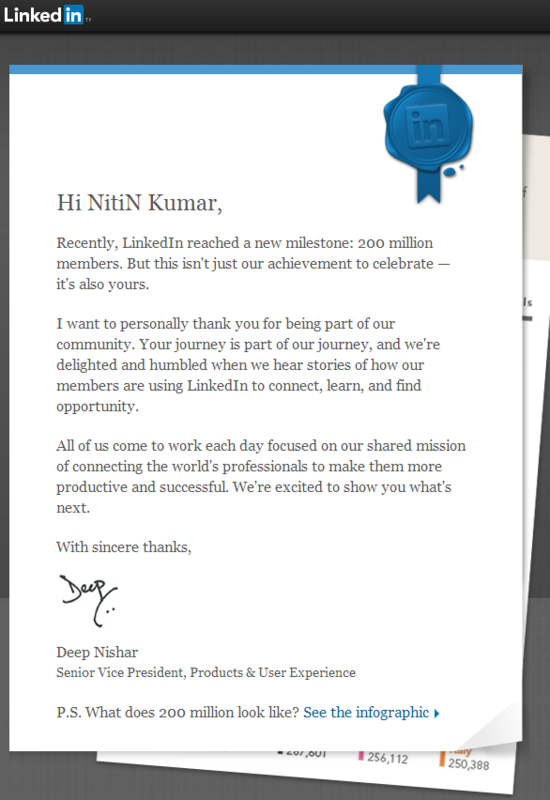 Total LinkedIn members are 200 millions, so 10% is 20 million or 2 crore … brrrr … Being one in the 2 crore family is definitely not good. They must have sent it to all 20 million people. Hahaha .. they must be kidding us all or it is their marketing propaganda to be shared and discussed socially. 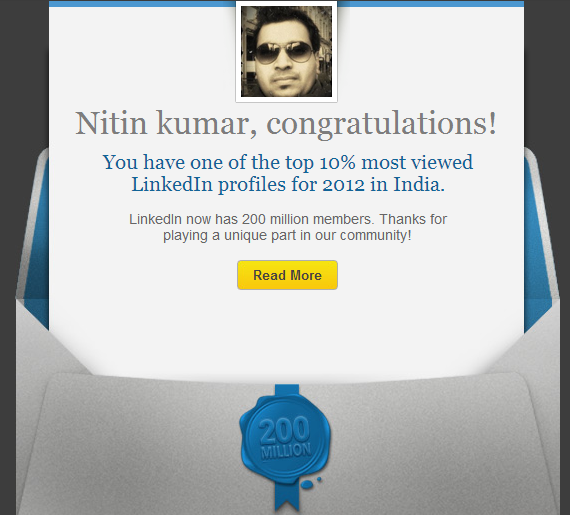 You have one of the top 10% most viewed LinkedIn profiles for 2012 in India. LinkedIn now has 200 million members. Thanks for playing a unique part in our community!